If you’re worried about letting trash linger longer, the odor management in Maytag trash compactors keeps your kitchen smelling clean and fresh and their undercounter trash compactor design keeps garbage out of sight until it’s time to remove it. 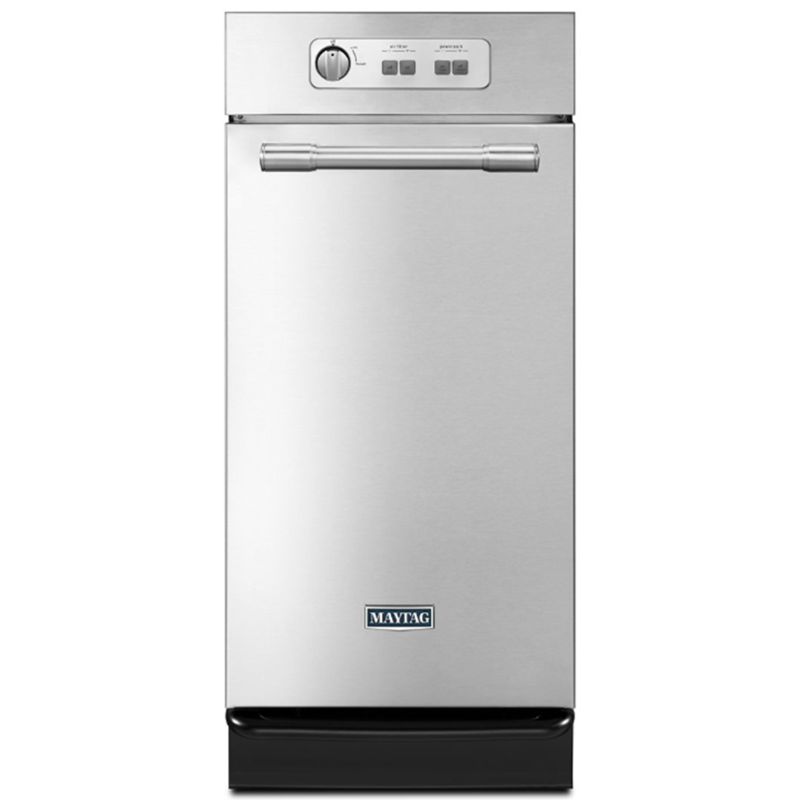 Maytag trash compactors in your kitchen can save time on daily chores, save money on waste removal, and reduce environmental waste, all with a stylish appliance. Trash compactors hold about five times the rubbish of a normal trash bag, so you can cut down on changing bags, emptying your compactor once for every five times you would need to empty a typical kitchen garbage. They also reduce the number of plastic waste bags used since they condense trash for removal. Plus, if you pay for your trash removal by volume, a garbage compactor can help save you money.